The doctor who was dragged off an overbooked United Airlines flight in Chicago in 2017, a violent encounter that sparked intense criticism of the airline after video of the incident went viral, spoke out about his experience two years later. When Dr. David Dao first saw the video, "I just cried," he said in an interview on "Good Morning America" that aired Tuesday. But he says he's forgiven the airport workers who dragged him off the plane, leaving him with a broken nose, a concussion and two missing teeth. "I'm not angry with them. They had a job to do," Dao said. "If they don't do it, they may lose [their] job." Video showed the Kentucky doctor, bloodied after he refused to give up his seat, being dragged down the aisle of the plane as it sat at O'Hare International Airport on April 9, 2017. He doesn't remember much from the incident, only that it he wasn't expecting it to be physical. Amid the outcry — and probing into his own past — Dao hid at home for months, he said. The protests from passengers became a public relations crisis for United, which was forced to apologize for the incident and missteps afterward, including CEO Oscar Munoz referring to Dao as "disruptive and belligerent" in a memo to employees. The airline ultimately changed its policies around overbooking, including retraining its staff and raising the amount that could be offered to passengers on overbooked flights willing to change to another flight to $10,000. 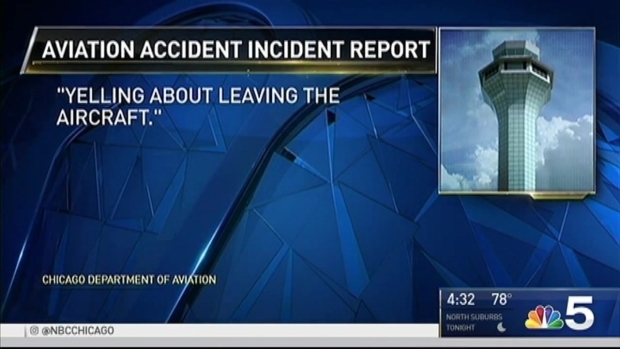 Dao, who reached an "amicable" but undisclosed settlement with the airline, said in the ABC interview that he was happy about the policy change: "The most important thing is the accident turned out a positive way." Two Chicago aviation police officers were fired over the incident, and a third resigned. Days after the incident, Dao's daughter Crystal Dao Pepper said at a news conference that, "What happened to my dad should have never happened to any human being regardless of the circumstance." As the saga surrounding United Express Flight 3411 continues to unfold, new video and audio recordings have been released by authorities showing what happened in the moments before and after a passenger was dragged off the aircraft in Chicago earlier this month. Charlie Wojciechowski reports. Dao said in Tuesday's interview that watching that video made him cry as well.